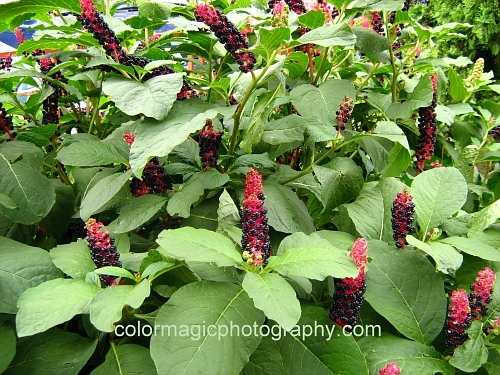 Pokeweed shrubs- Phytolacca Acinosa are no-care perennials, grown as ornamental plants for their showy berries. 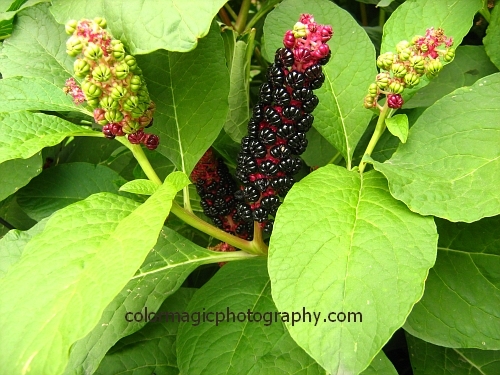 From the many species, Phytolacca Acinosa, Asian poke weed, or Indian poke is growing in our parts. It can reach 1.5 m (5ft) in height with the same spread. Birds love these big, 4–12 mm diameter berries and spread them all over the large, green leaves of the bush. 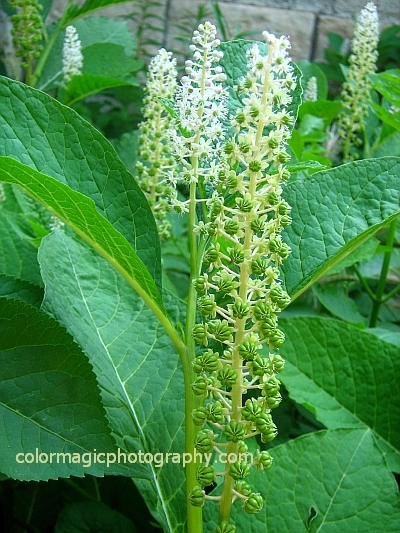 Pokeweed starts flowering in early June with greenish-white to pink flowers produced in long racemes at the ends of the stems. Inkberry bush fruits are globose berries on large panicles, green at first, ripening dark purple to black. The dark red juice of the berries were used in older times as ink, paint and dye. Though the plant is poisonous to humans, it is said that young leaves are cooked like spinach, in some parts of the world. In temperate climate, this shrub thrives in sunny places in any soil. I often see them near the sidewalk on the streets but in neglected gardens as well, growing on their own. These plants look very nice, but they do not thrive in my garden.